Publishers Note regarding the official announcement from OUTFRONT Media and their talented creative group, OUTFRONT Studios. I had the good fortune of working with Eddy Herty, Jay Paul, and Shannon White at Olympus Media in Atlanta. 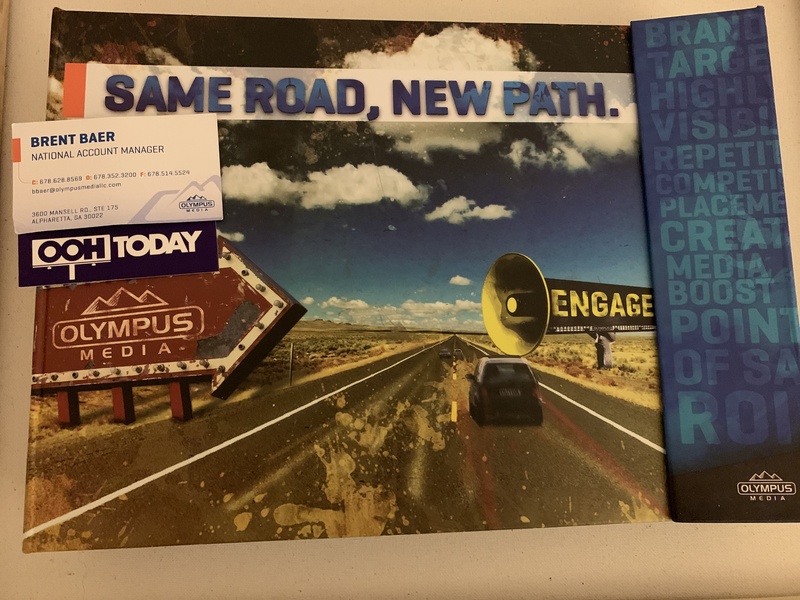 They are a multi talented group and this gives me the opportunity to share the fabulous sales tool (see photo below) they designed on OOH features and benefits. Recognition of the OUTFRONT Studio creatives is well deserved. The attention and resources OUTFRONT is committing to creative is as crucial as any data, digital, software, technology or other advancements in OOH. As much as it is recently often said, OOH is in a renaissance, it seems we lost touch with what impacts us the greatest: Creative. The courage to impact creative for National Brands is long overdue for the Outdoor Advertising Industry. OUTFRONT’s leadership is commendable. OOH Today will never stop advocating for truly outstanding creative which is the lynch pin to realize the greatest revenues we are capable of reaching. OUTFRONT Media Inc. announced the expansion of its in-house creative agency OUTFRONT Studios. 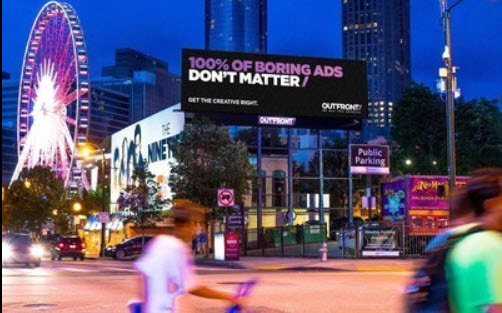 Nearly four years since its inception OUTFRONT Studios has worked with top brands to create unique campaigns through the use of out-of-home. OUTFRONT connects brands and consumers in the “real world” on giant creative canvases. Since 2015, OUTFRONT Studios, led by OUTFRONT’s National Creative Director Eddy Herty, has executed one-of-a-kind campaigns for hundreds of local, regional and national brands in top markets. Todd Turner joins OUTFRONT Studios as Senior Art Director in Chicago. 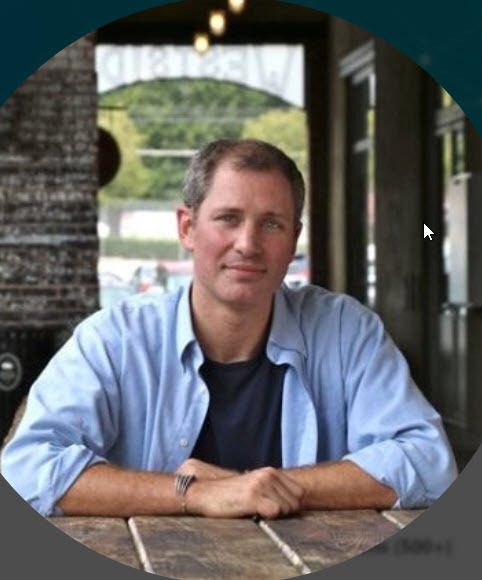 Turner formerly served as the National Creative Director at Adams Outdoor Advertising, where he led a team of more than 50 creatives, won many ADDY awards and OBIE Awards. Heidi Smith has also joined OUTFRONT Studios as the new Art Director in Sacramento. ADDY and OBIE award winner Jay Paul has been promoted to West Coast Regional Creative Director. Paul has played an essential role in building OUTFRONT Studios, and will oversee the creative across the Los Angeles, Berkeley, Sacramento and San Diego markets. Gold OBIE winner Mike Moss has been promoted to Senior Art Director, where he will continue to conduct consultative sales strategy with clients across the West Coast. Shannon White has been promoted to Creative Director, and will be assisting on managing national projects, facilitating marketing requests and providing additional support for the Regional Creative Directors and Art Directors across the country. With its bolstered team of expert creatives and thought-starters, OUTFRONT Studios will continue to produce original creative and deliver groundbreaking campaigns that are impactful and engaging. To find more visit OUTFRONT Studios. This is awesome. I have worked with Eddy, Shannon and Jay. They get it. Easy to work with. VERY creative and fun too. This is the favorite part of my job. Watching ideas come to life. Eddy said: We can make you famous with ONE billboard. Great job folks.